Robert Canis discusses his lengthy commitment to photographing a badger sett, and the techniques that helped him achieve his goal, in this photo insight. Robert has been a professional nature photographer for more than 20 years. 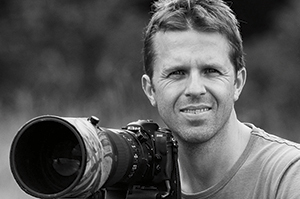 He gives around 20 illustrated talks each year and regularly holds wildlife and landscape photography workshops both in the UK and overseas. He is represented by three international agencies and has been the recipient of numerous awards. He shares his photo insight with AP. I have been observing badgers at this sett for more than 25 years. As a boy, I would cycle the mile or so to the edge of this field, a tripod (sometimes two, with one to hold the flash) attached to the side of the cycle frame with bungee cords, and a pack on my back. Once my bike was padlocked to the fence, I would skirt the edge of two fields until I was around 200m from where I would be positioned for the evening. At that point I would stop, put on my camouflage jacket, hat and gloves, and set up my camera on the tripod to minimise disturbance when in the woodland. I still adopt the same way of working, the only difference being that I now drive rather than cycle. Prior to this image being made, I had spent the previous weeks photographing all manner of badger behaviour, including grooming and collecting bedding. For the most part, I was going in quite tight using the 200mm end of a 70-200mm f/2.8 lens on my Nikon D600. But on one occasion, when I sat a few metres further back than usual, I noticed that the surrounding elder trees framed the branch they would often walk over. This path over the branch is positioned just 10 metres from the edge of the wood. Being west-facing, it receives good light from early spring through to midsummer, at which point the foliage closes in and makes it very difficult to observe, let alone take any pictures. Given that by this point it was early summer, I didn’t have long before it would become almost impossible to produce the image I wanted. Most evenings the badgers would appear at around 7.30pm, so I would arrive and be settled at least one hour before then. Once in position, I would compose the scene using the same lens at 110mm and set the ISO to 800 with the D600 on aperture priority. The ISO would then be increased, manually, in line with the failing light. There were a number of factors I needed to take into account and the first was critical focus. Given that I was using the lens’s widest aperture of f/2.8 (this would give me the fastest possible shutter speed to prevent subject blur and produce a soft vignette), depth of field was extremely shallow, and it was imperative to get the badgers pin-sharp. Using the camera’s autofocus was out of the question, as this would use up valuable time and there was the risk that it wouldn’t lock on exactly where I wanted it to. During set-up, I therefore activated live view, zoomed in to the fallen branch and manually focused on the marks the badgers had made on the bark by their claws. I then took a test image to ascertain exposure, which showed me that the daylight between the background trees had fooled the meter into underexposure, so I would dial in +0.7 exposure compensation. The first few evenings were unsuccessful, with the badgers either walking straight over at pace or appearing too late. The sightings, however, were still special. Badgers would approach within metres and cubs would be playing, watched by their ever-present mother. On the evening I took this image, it was warm and humid, and as the sun cast long shadows through this old coppice woodland the mosquitoes tormented me, forcing me to cover every inch of my skin. As the sun set and the birdsong quietened, I readied myself, ever hopeful. Soon after 9pm I heard rustling and could just make out two badgers on the opposite side of the branch. Suddenly, without warning, they both stood on the branch, with one leaning (as if at a bar! ), and surveyed the area long enough for me to activate mirror lock-up, hold still for a couple of seconds and take the photograph. They heard the noise of the shutter, but weren’t able to make out what was making the noise. This allowed me a second opportunity, which produced the image you see here. They then passed over the branch and began foraging beneath where I sat. An hour after the badger activity stopped, I made my way out of the wood and onto the edge of the field, confident that they had moved further afield. In the gathering mist, I contentedly walked back along the same path I had used for more than a quarter of a century. Anyone who observes and photographs badgers will tell you that, first and foremost, you have to abide by a few simple rules if you are to be successful in photographing this endearing and enigmatic mammal. You should wear dark-coloured, silent clothing. Although badgers have very poor eyesight, they are able to detect anything that, to them, seems out of place, so it is imperative to position yourself where you are not silhouetted against the skyline. Although a full camo outfit isn’t necessary for badger photography, I wear a Realtree camouflage jacket that never gets washed and which remains in the boot of my car. Clean, fresh-smelling clothing will do you no favours! I also wear a headnet and gloves to cover any skin. It also pays to arrive at least one hour before the badgers’ estimated time of appearance and to position yourself downwind, since their sense of smell is approximately 800 times more acute than our own. 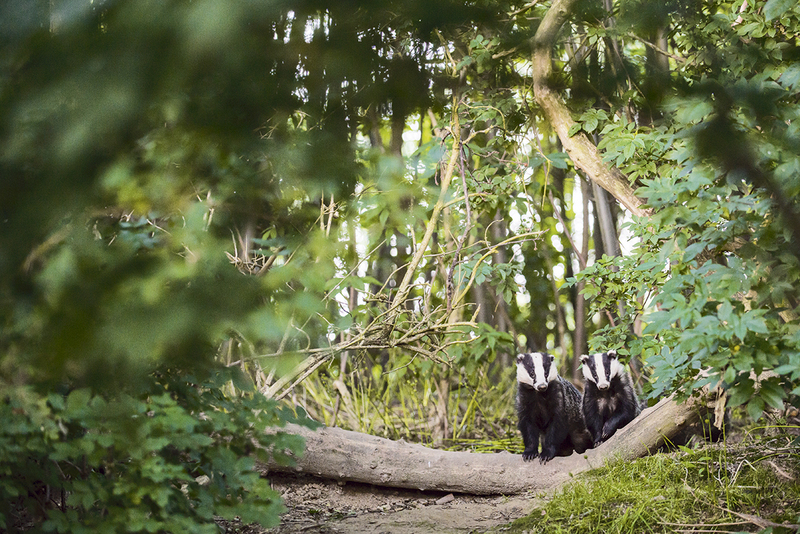 The time badgers appear will vary depending on the location – to find out, you could place a trail-cam nearby a week or so prior to photography.